Welcome to VertuStudio Guitars. Classic Gibson, Fender, and Gretsch guitars, vintage and customized Marshall and Fender amplifiers, real tape delay delivered in stereo on separate tracks, 100% analog stomp box chains, and prudent but highly effective post-processing, all work together here to bring you the warmth and saturation that's possible only in the world of tubes and transistors. Sixteen Artist Integrated sessions, designed to work seamlessly with our Drums from the Big Room and DNA Bass titles, take you on a deep exploration of tones and textures for rock, pop, and experimental electric guitar. With an emphasis on function over flash, these bread-and-butter sounds were designed and tooled specifically to cooperate on the grid. Riffs and licks tailored for looping and interlocking play, single strums with full effects decay tails present, and even some post-processed version files, together provide a full range of choices that all yield excellent, natural-sounding results. Built on groove templates made with sounds from our incredible Drums from the Big Room and DNA Bass collections, use VertuStudio Guitars with these two titles for a complete Artist Integrated experience, or mix VertuStudio sounds with anything else on your hard drive and enjoy the tones and textures of electric guitars played through classic and vintage signal paths. New! 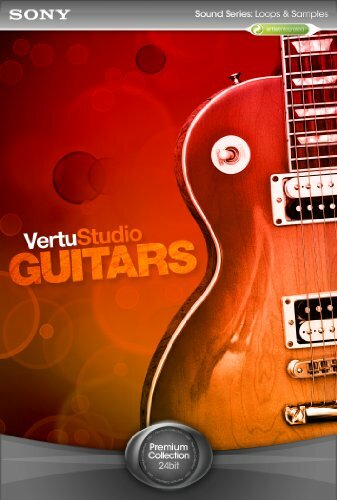 Add on to the VertuStudio Guitars experience with our new Session Packs.